We know it hasn’t been particularly long since the last time we looked at a Porsche vehicle, but like we said earlier this month, we’re looking at all of the pre-owned 2018 models in our inventory first! These models are practically new, with barely any wear and tear and, in most cases, hardly any mileage on them. The 2018 911 GT2 RS we’re looking at today certainly fits that bill, having only been driven 68 miles, and furthermore it’s been equipped with the fantastic Weissach Package, making this a truly unique vehicle that we’re quite excited to offer! First introduced on the Porsche 918 Spyder, the Weissach Package has become synonymous with lightweight construction. 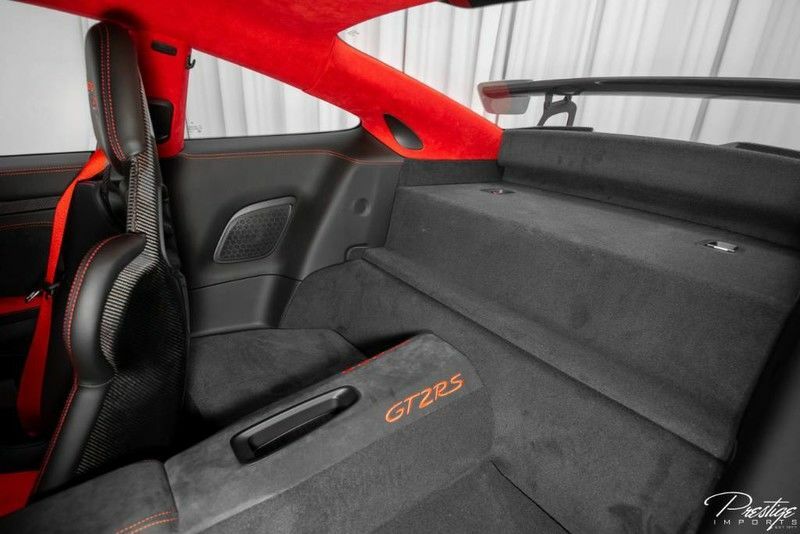 The Weissach Package makes the 911 GT2 RS 30 kilograms lighter than the next step down in terms of trim level (which would be the Club Sport Package), changes the stabilizers and coupling rods out for ones made from carbon, a unique decorative strip added to the lid and roof, the thick Porsche logo atop the massive rear wing, white gold-painted magnesium wheels, a titanium roll cage, ultralight paddles and steering wheel made from a carbon-weave finish, and more. But what you’re truly interested in is, of course, its performance specifications. 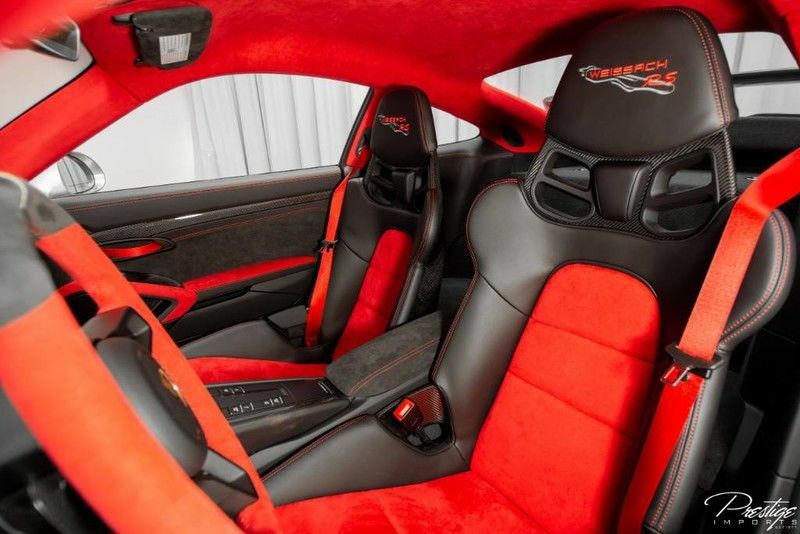 Powered by a twin-turbocharged V6 engine, the Weissach is capable of generating 700 horsepower alongside 553 pound-feet of torque. That kind of power enables it to hit a max speed of 250 miles per hour and to hit 60 mph in just 2.7 seconds. The 2018 Porsche 911 GT2 RS is incredible by itself, but when equipped with the Weissach Package it’s unmatched. If you’re interested in making this vehicle your own, be sure to get in touch with us right away. 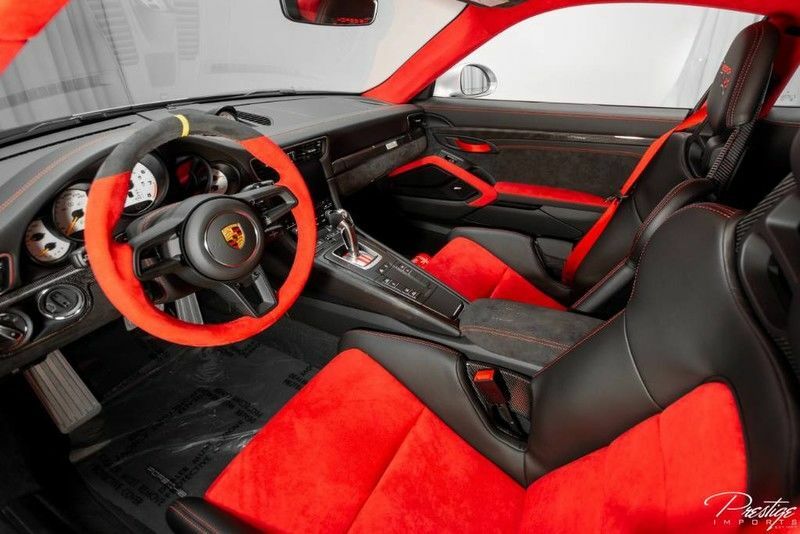 This entry was posted on Monday, July 23rd, 2018 at 2:14 pm	and is filed under Porsche. You can follow any responses to this entry through the RSS 2.0 feed. You can skip to the end and leave a response. Pinging is currently not allowed.